When the Red Sox first signed an underperforming first baseman for a one year deal from the Minnesota Twins, nobody expected much. You joined a team known for losing with a crowded lineup and it looked like your time in Boston would be short. But you believed in yourself and thats why we are here today. You were the heart and soul of this Red Sox team for the last 14 years. You were the consistent face of the franchise that was always ready for whatever challenge faced him. The name David Ortiz will always be next to phrases like "Greatest Red Sox ever," "Best clutch hitter of all time" and of course "The greatest DH to ever play the game." You were that guy that this franchise was searching for in their 86 year winless streak. You came through with the big hit over and over again. You are the only Red Sox to say he's won three World Series rings with the team. In 2004, Dave Roberts stole second, but you delivered the walk-off homer in the 12th. The next night you walked off Game 5 in the 14th with a single. And you didn't stop hitting, a 2-run home run in the first inning of Game 7 in New York gave your team the lead and you never looked back. You were the catalyst of the most epic comeback in sports history. In 2013 you delivered a speech which brought a team and city together in a time of need. And later in the year, with your team down 5-1 in the eighth and 1-0 in the series, you hit a grand slam. That grand slam powered your team to an AL Pennant and your third World Series victory. Through the championships, home runs, disasters, laughs, speeches, milestones, parades and everything else in between, David Ortiz cemented his legacy as the greatest Red Sox ever. And now, he's gone. 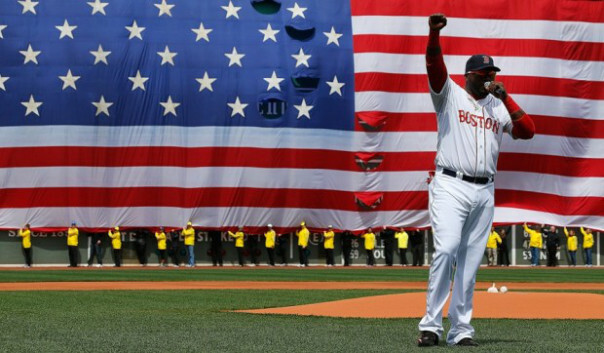 We've seen the last of David Ortiz, but the impact on this franchise will never end. So Big Papi, I thank you. And I'm sure every Red Sox fan in this world thanks you. Nothing has been the same since you got here and it won't be the same now that you're gone.